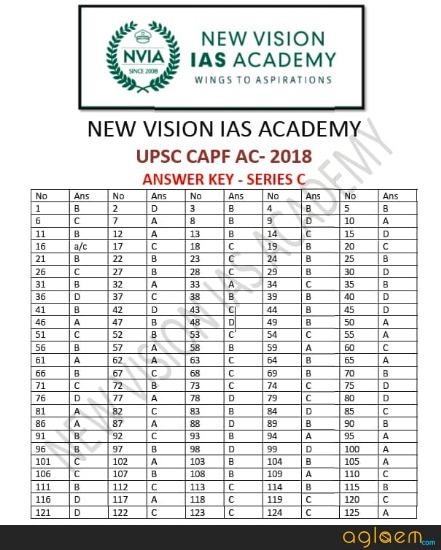 UPSC CAPF 2018 Answer Key – The answer key of CAPF 2018 has been released. 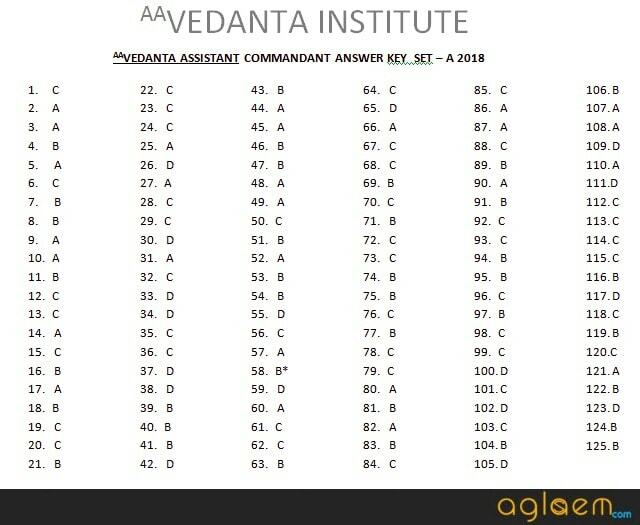 The CAPF Answer Key 2018 for Set A, B, C, and D is available by the unofficial bodies, like the coaching institutes. The key is available as a pdf and video. Candidates can check UPSC CAPF 2018 Answer Key via any medium they wish. The answer key by Union Public Service Commission (UPSC) will be released later on, at upsc.gov.in. The Central Armed Police Force exam was held on August 12, 2018. Candidates can now use the UPSC CAPF 2018 Answer Key to cross check the answers and calculate the score in the exam. Check here more details of UPSC CAPF 2018 Answer Key on this page. 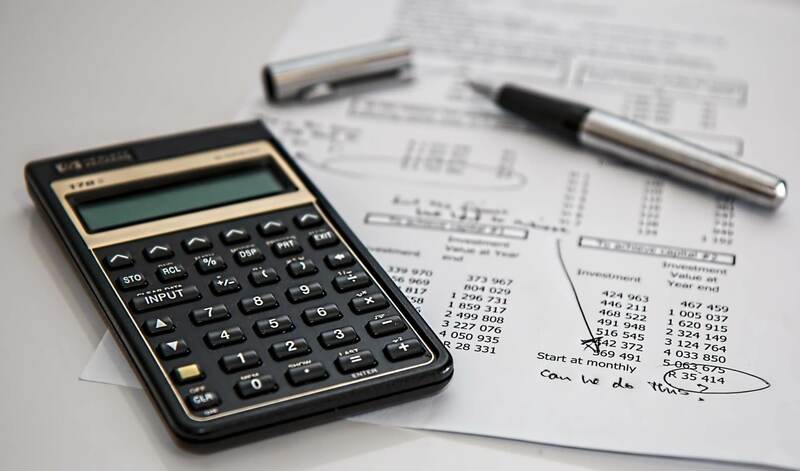 Latest: CAPF Answer Key 2018 is now available. Candidates can check it from the page below. There are three stages in the selection process of UPSC CAPF 2018, the first one is the written exam. The written exam contained two papers paper I and II. Paper I was an objective type paper, while paper II was of descriptive type. 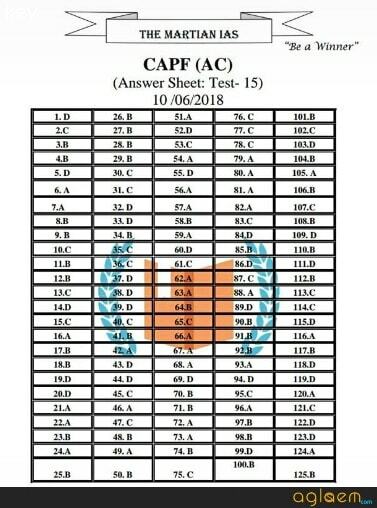 Hence UPSC will release the CAPF 2018 Answer Key has only been released for paper I. 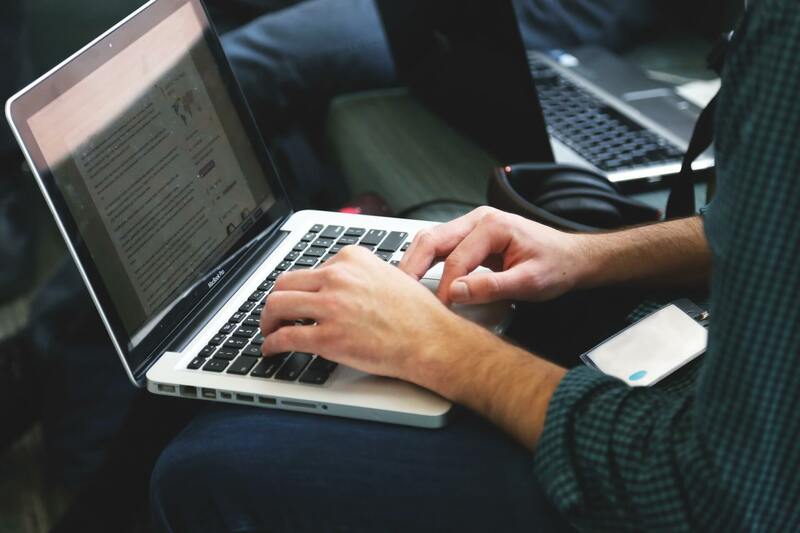 How to Download UPSC CAPF 2018 Answer Key? The candidates who will appear in the written examination will able to download the UPSC CAPF 2018 Answer Key for paper I. The candidates will able to download the answer key by following the below steps. Candidates will be able to check the correct answers of the questions(objective MCQ type) after the release of UPSC CAPF 2018 Answer Key. Now download it and chcek your marked answers. Note: Candidates are also advised to check the paper set before reviewing the UPSC CAPF 2018 Answer Key. How to Use UPSC CAPF 2018 Answer Key? After downloading the answer key now the question arises how to use the answer key, especially for them who are appearing first time in CAPF Exam. For using the UPSC CAPF 2018 Answer Key the candidates must have the knowledge of marking scheme. The paper I carries 250 marks, for 125 questions that means, Every correct Answer will give you + 2 marks. On each occurrence of an incorrect answer, the candidates have to bear the deduction of the 2/3 marks. Check the correct answer and candidate can crosscheck their answers. A candidate can challenge an answer to the question in case of any discrepancies. A good estimate of the score can be assessed. 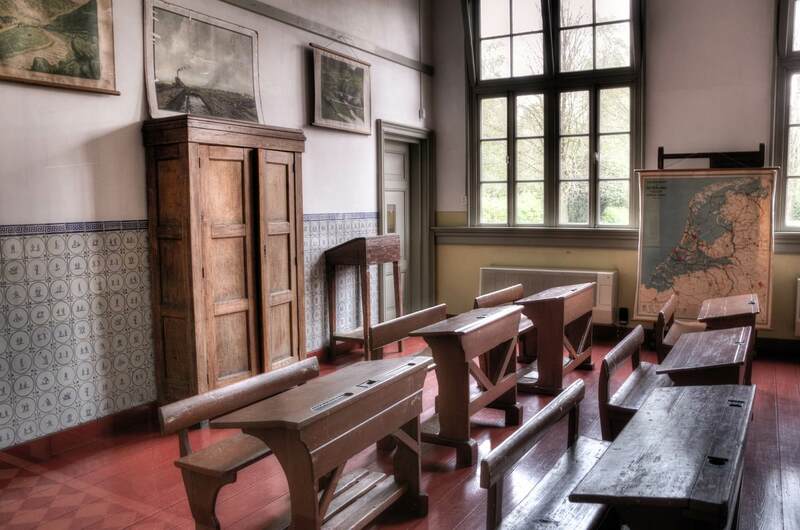 It will also future test takers to analyze the exam and prepare for the same. 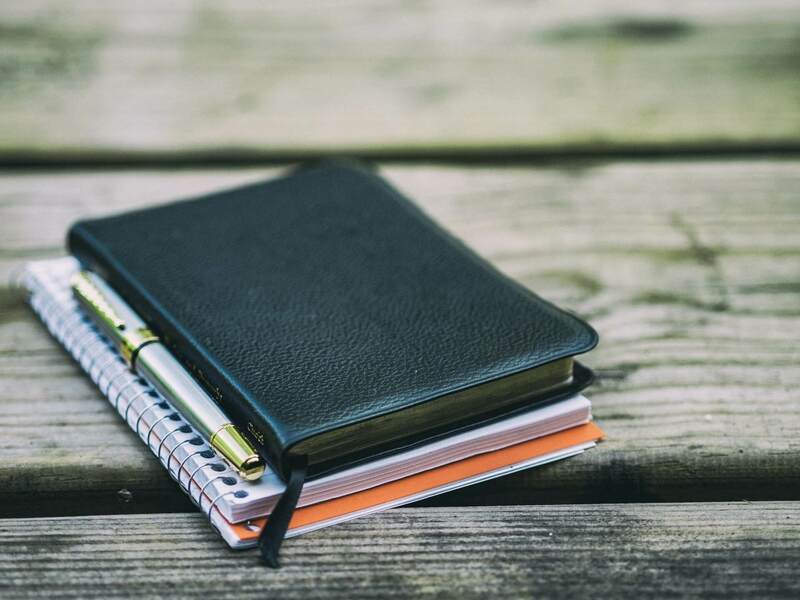 After the conduction of the exam, the commission will release the result for the written exam. The candidates who will not be satisfied with the UPSC CAPF 2018 Answer Key are suggested to wait for the declaration of the result. The result will resolve all the problem what they will have after publicization of answer key. UPSC will release the result on its official website upsc.gov.in. 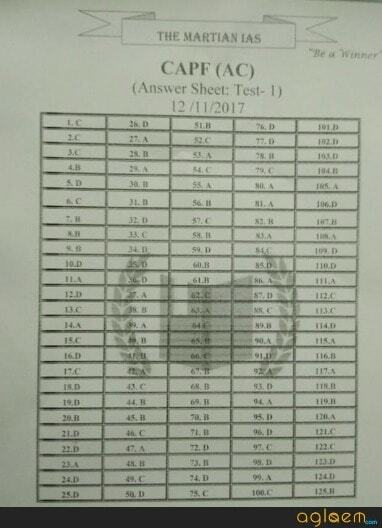 Here candidates can find some of the previous year question paper and answer key. We are providing the Central Armed Police Force question paper here. those who are going to write the exam for them the papers are too helpful.